The 5412052160 Fuji Non-Reversible Type Air Motor is one of thousands of quality tooling products available from MRO Tools. 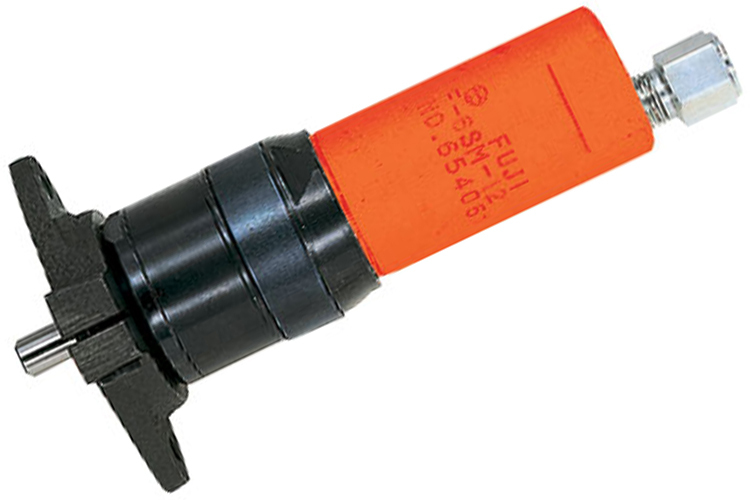 Please browse Fuji Non-Reversible Type Air Motors for tools similar to the 5412052160 Fuji Non-Reversible Type Air Motor. 5412052160 Fuji Non-Reversible Type Air Motor description summary: Fuji non-reversible type air motor. Model: F-6SM-21 Type of Spindle: Cord Type Stall Torque: 4.4N.m/3.2ft.lb Power: 290W/0.39PS Free Speed: 2400m-¹ Overall Length: 167mm/6.57'' Quantity discounts may be available for the 5412052160 Fuji Non-Reversible Type Air Motor. Please contact MRO Tools for details.